Picture above shows adorable girls hairstyles by Wheat Spring Summer 2014 -lots of hair pins needed! Fishtail is so beautiful but oh so tricky. 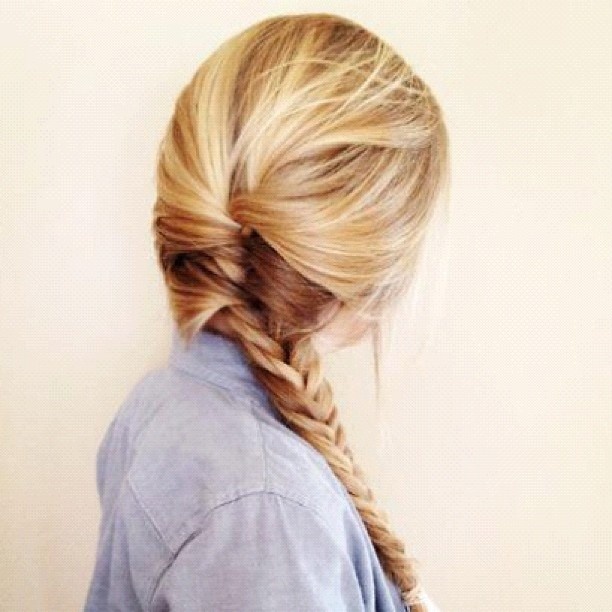 Let me know if you master the art of the fishtail. Picture via Pinterest. Love this boys hair cut seen at the New Generals Spring Summer 2014 Runway show at CIFF kids. Simple style for little bridesmaids, curled and twirled with a little clip, via Norwegian Bridesmaids in Oslo. Then finally, when school starts in September, little girls everywhere ask their moms for cool hairstyles. Head over to Cup of Jo to see how to do this Braided Princess Crown.